Czech MEP Jaromír Štětina has invited the commander of the Ukrainian volunteer Azov Battalion and Verhovna Rada deputy Andriy Biletsky to speak at the European Parliament. Štětina, who is blacklisted in Russia, argued that the volunteer battalions are a formidable military and political force and keeping them out of the loop would hamper the ongoing efforts to end the conflict in Donbass. Štětina also said he knew his decision would invite a lot of flak from fellow EPs, but that he believed that the Azov commander should have a chance to explain his and his men’s standpoint. “It is my firm conviction that the European Parliament is not a place for people like Biletsky,” Jan Miklas said in conclusion. The Azov voluntary battalion is part of the Ukrainian National Guard. 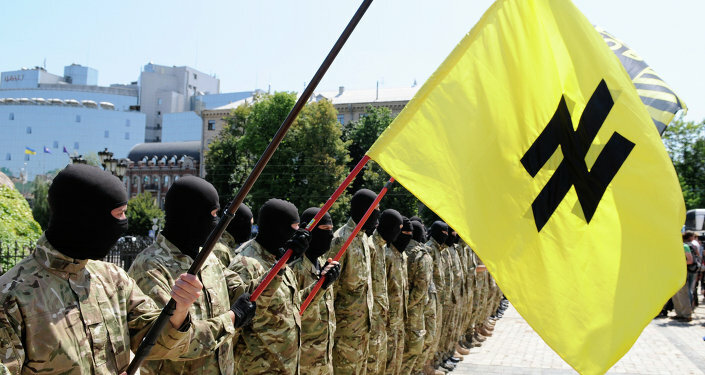 On July 13, in the wake of the bloody standoff in Mukachevo, its members, along with those from Aidar, OUN and Tornado battalions, joined the Right Sector militants in their demands for the resignation of Ukrainian Interior Minister Arsen Avakov.